Three people died and more than 30 injured in a twin suicide blast in the northeastern Nigerian city of Maiduguri, militia sources and residents told AFP Sunday. 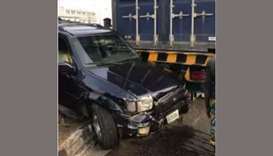 Nineteen people were killed when a truck veered off of the road in northern Nigeria's Katsina state, a road safety official said on Saturday. 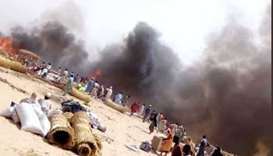 A fire killed at least eight people and left 15,000 others without shelter after raging through a northeast Nigerian camp for people displaced by a war against Boko Haram insurgents, aid group Norwegian Refugee Council said on Saturday. 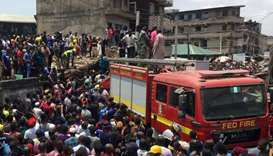 Families kept a vigil at a hospital on Thursday for children pulled from the wreckage of a collapsed school building in the Nigerian city of Lagos, as rescue operations came to an end. 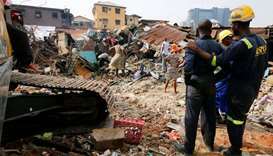 Many people including children were feared trapped on Wednesday after a building containing a school collapsed in Nigeria's commercial capital Lagos, an emergency agency spokesman said, as rescue efforts began. 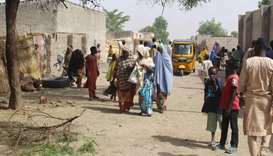 At least 30 people have been killed by armed bandits who raided a village in northwest Nigeria, police and residents said Tuesday. 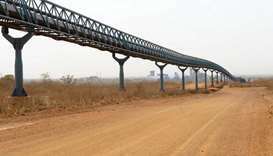 A major Nigerian oil pipeline has exploded, local police said Sunday, forcing nearby residents to flee and raising suspicions of possible sabotage. 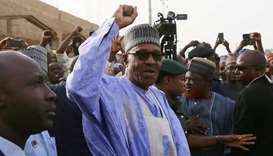 Nigerian President Muhammadu Buhari won a second term at the helm of Africa's largest economy and top oil producer, the electoral commission chairman said on Wednesday, following an election marred by delays, logistical glitches and violence. 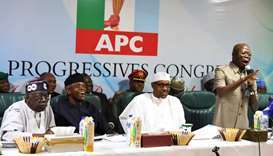 Nigeria's election was ‘peaceful’ despite isolated incidences of violence and malpractice, the African Union (AU) observer mission said Monday. 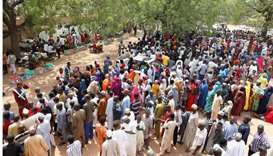 As many as 35 people were killed in election violence in Nigeria civil society groups said on Sunday after voters went to the polls in a tight presidential race between President Muhammadu Buhari and businessman Atiku Abubakar. 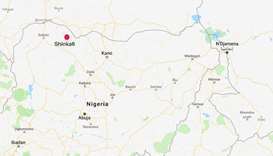 At least 59 ‘bandits’ were killed by a civilian defence force when they attacked a village in northwest Nigeria, security officials and locals told AFP on Thursday. Nigerian President Muhammadu Buhari said Monday he had ordered the police and military to be "ruthless" with vote-riggers, as preparations were made for rescheduled elections.